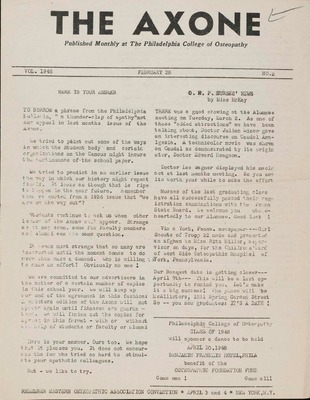 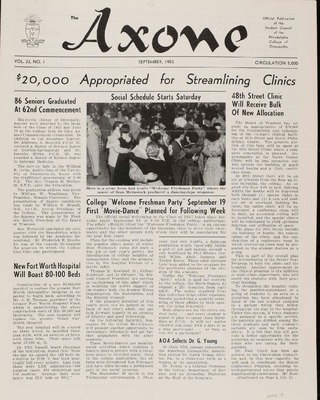 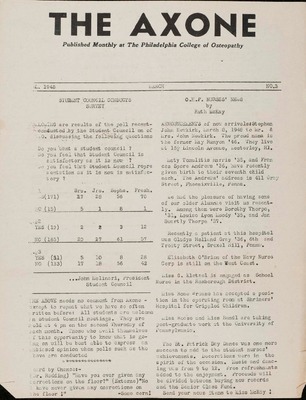 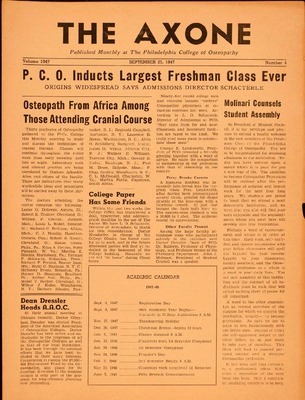 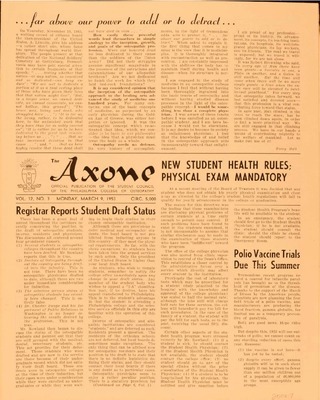 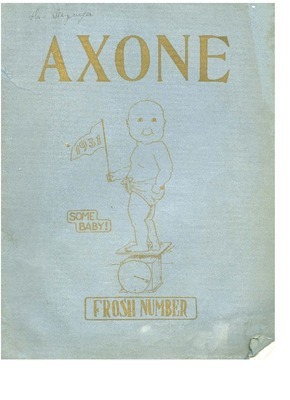 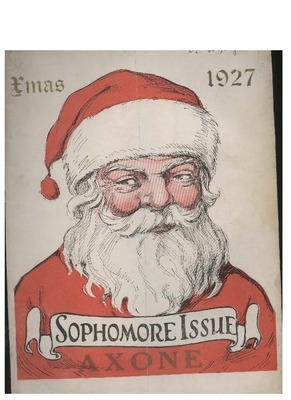 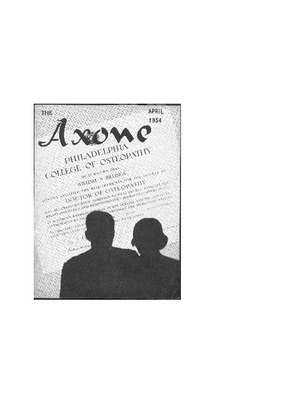 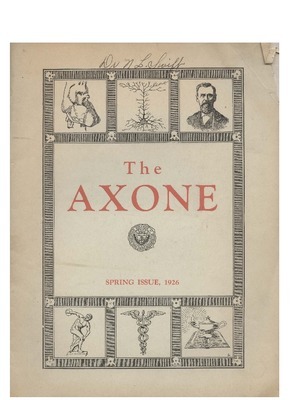 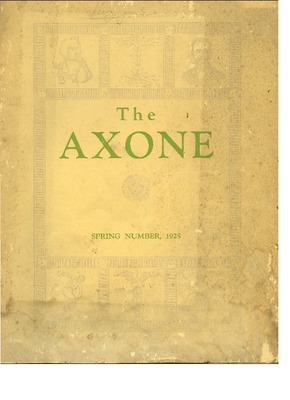 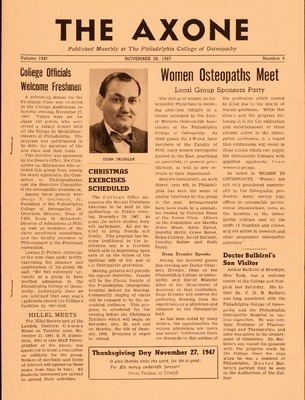 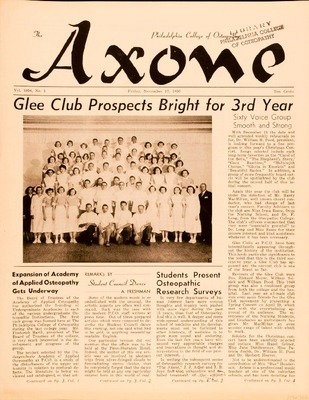 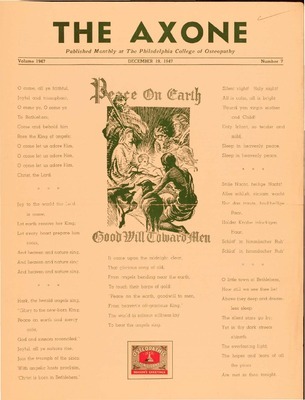 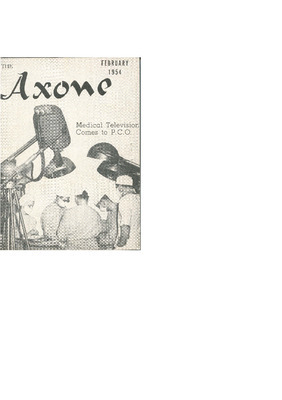 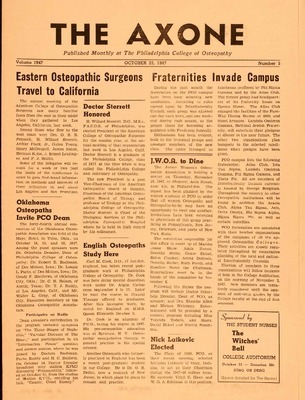 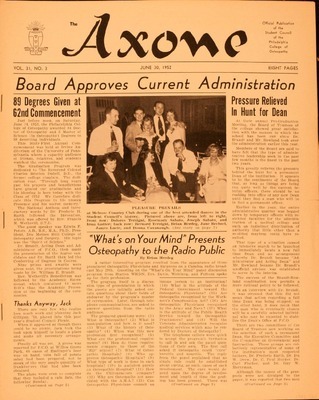 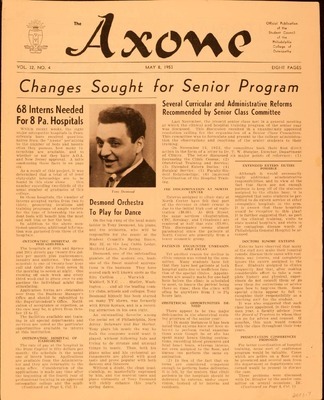 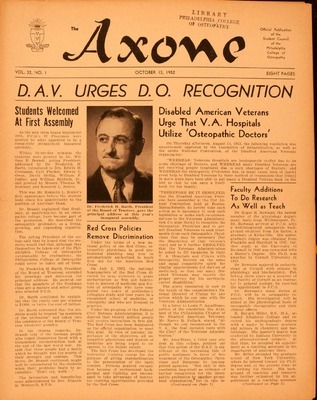 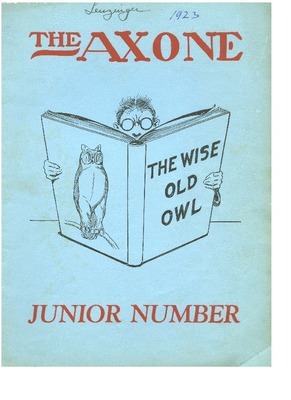 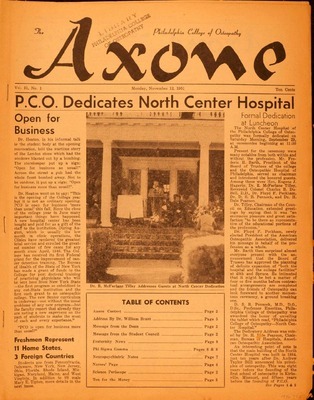 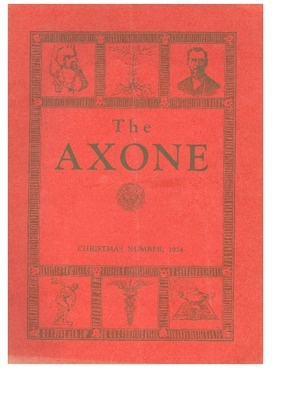 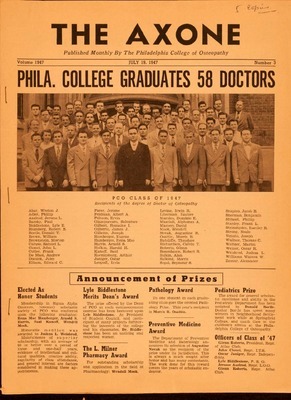 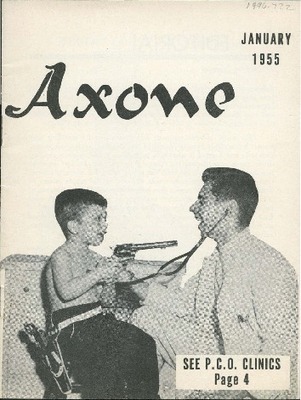 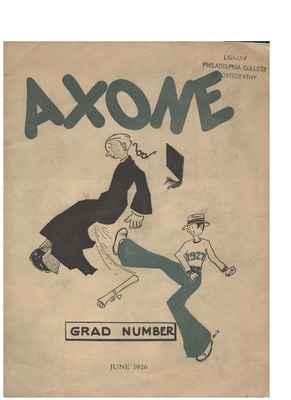 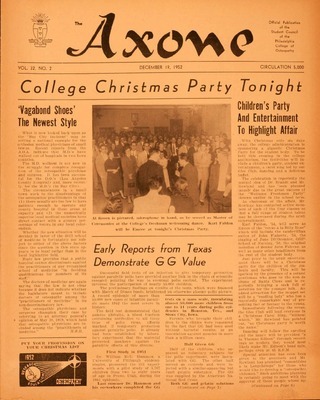 The Axone, a student publication at the Philadelphia College of Osteopathic Medicine, published occasionally from 1924 and 1927, and then again between 1947 and 1955. 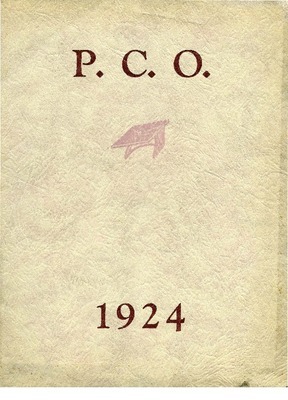 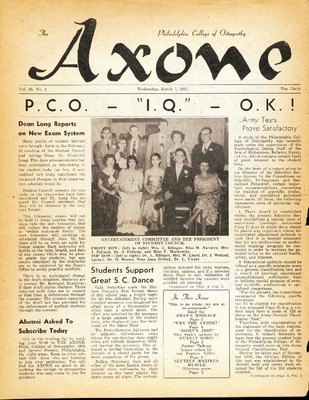 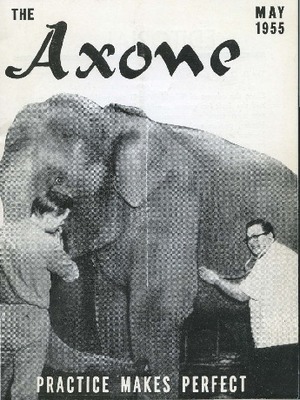 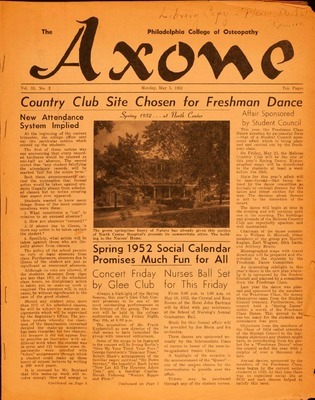 During its later years, Axone was described as the official publication of the PCOM student council. 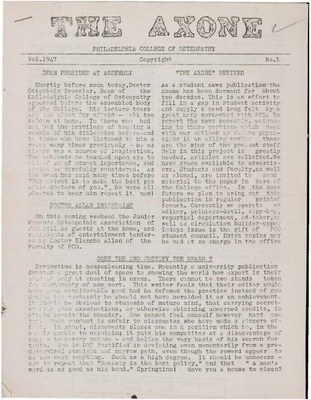 The publication includes brief articles and editorials about events at PCOM, gossip and social columns, cartoons and sketches, and other material documenting the lives and attitudes of PCOM students at various times in the College's history.